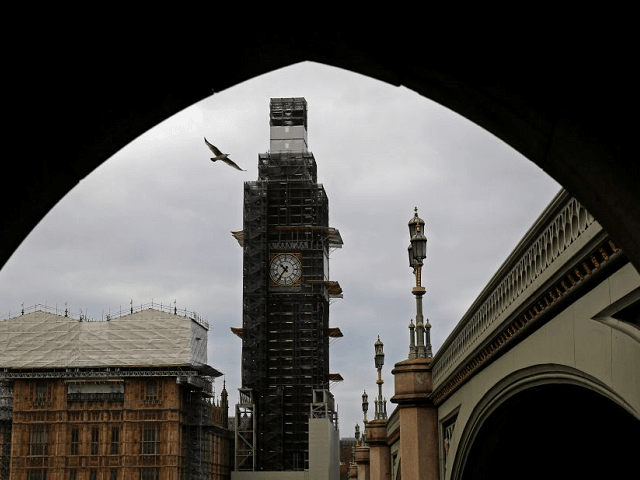 British Yellow Vest protestors demonstrated in Westminster Saturday, blocking traffic on Westminster bridge and around Parliament Square while calling for Brexit. The protest, which was clearly modelled on the successful Yellow Vest protest movement in France which has seen concessions from the globalist government of centre-left president Emmanuel Macron, took place Saturday morning as French protesters demonstrated in Paris. After staging a sit-in on Westminster Bridge, the group of around 100 moved to Parliament Square and up Whitehall — the historic street which is home to the British government’s ministries and off which sits the Prime Minister’s Downing Street home. Smoke bombs were set off and there were scuffles with police, reports The Guardian, with four arrested by the Metropolitan Police. One of those arrested was a 13-year-old girl accused of assaulting a police officer. A police spokesman said: “Four arrests have been made following protests on Westminster Bridge, SW1 at approximately 11am today. The event is the latest in a series of protests in Westminster in support of the Brexit process, which has been repeatedly frustrated by both the British government and the European Union.